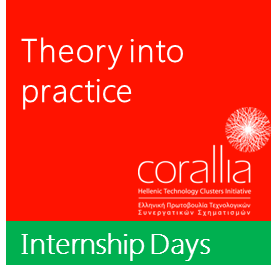 The event is aimed at students in the Electrical and Computer Engineering / Computer, Physics, Business Administration and Economics entitled to participate in the internship program at the University of Patras and who wish to gain experience in 'real work' of the Greek high tech industry. Those responsible for teacher training departments will inform the respective companies and students for the program. In this section, the companies have the opportunity to present the body representing the candidates and to report briefly to the public for open internships positions available.However, participating companies can present their work, without having at the moment, a position open for practice. Enable young scientists to meet with company representatives and learn about the companies Nano / Microelectronics, through short presentations at the Amphitheatre of Patras InnoHub. Moreover, throughout the duration of the event, there will be informative tours to the exhibition, which outlined the achievements of technology companies in mi-Cluster.